The word style is both noun and verb. I love words that do this, because they take something inanimate and give it action and purpose. As a noun, it means a distinctive appearance. As a verb, it means to design or make into a particular form. Here’s where the difference lies: without activating the word style, the distinctive appearance created is unintentional and unaware. My personal style has evolved dramatically over the years. While always immersed in some current trend, my style did not always accurately reflect who I was, but was more focused on who I wished to be. Admittedly, as teens and young adults, we aren’t always as certain about who we are in the scope of our goals and finding that balance. Regardless, I always coveted the latest styles, work them into my wardrobe, and am frequently asked my opinion on what to wear by friends. While I always had this passion for image businesses, I thought my connection to work in fashion could only come from traditional retail. Having grown up in the business, I also knew it was not conducive to the hands-on mom I wanted to be someday. Evenings, weekends, Black Friday don’t lend themselves to family time and the actual JOB is extremely numbers driven–not about the emotional connection to fashion. I had a wonderful career as a road rep for Hallmark cards as a very happy compromise. 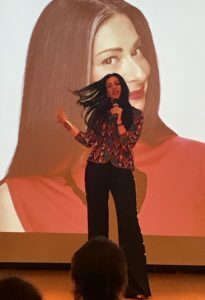 In the mid-2000’s as a mom of littles–wearing jeans and graphic tees every day– I (like many of us) became obsessed with TLC’s “What Not to Wear.” Clinton Kelly and Stacy London took guests to fashion boot camp, and each makeover was more powerful than the last. The empathy for guests stuck in a style rut (or complete time warp) was incredible. They defined the psychology of style in a way that triggered me to read more, learn more. Guests went from being unable to recognize what they liked about themselves and a real fear of highlighting a single feature, to being emboldened by a slimmer cut, a tailored jacket, a better fit. It was during the run of this show that I had my first MAJOR lightbulb moment: I could actually make money just by understanding style and making it an active process! While this didn’t happen overnight, this show and Stacy London put me on a very intentional path to this moment. 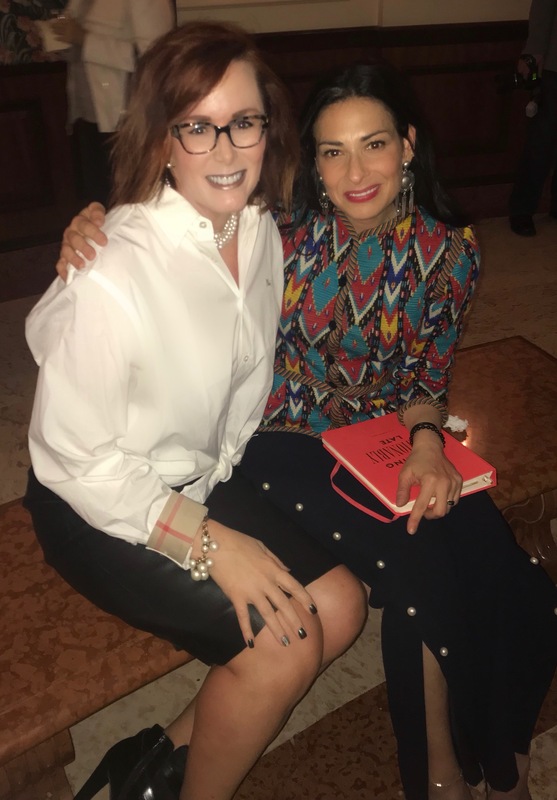 Friday evening, I had the opportunity to hear Stacy speak on the Power of Personal Style at the Frick Museum here in Pittsburgh. I assumed an engaging and enlightening speech, but it completely exceeded my expectations. Her presentation was funny, educational, and intimate. She is hilarious, but also kind. My girl and I are just about the same age, so her comments on her personal style evolution and how to dress in your 40’s really resonated with me. A strong advocate of women’s rights, she spoke of wearing whatever you want, but keeping an awareness of WHEN AND WHERE you are wearing whatever you want (and understanding the difference). She talked about stripping away all the emotion from style EXCEPT joy. She also told the audience she really does recommend that everyone should work with a stylist at some point. Quote from a recent Refinery 29 piece from Stacy London on style as we age. LOVE IT! At the meet and greet following, I watched her interact with each woman on a very personal level. 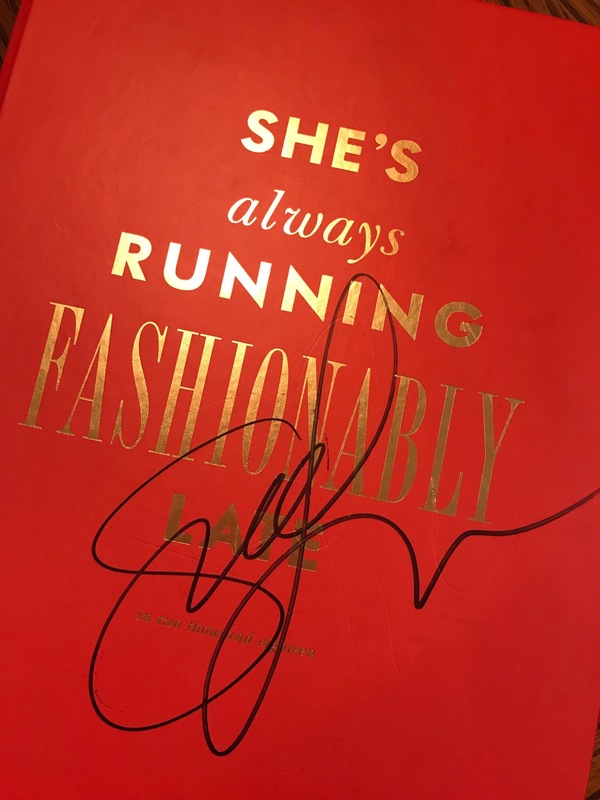 As she shook hands, she held them an extra moment or more–a testament to how connected she is to her craft. 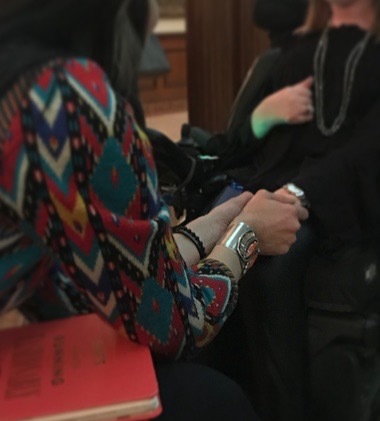 She offered in-the-moment style advice to some, suggested places to look for fashion to flatter challenges, and even encouraged a young woman struggling to secure empowered fashion from her wheelchair (a significant challenge, I’m learning, and a frustratingly unrepresented niche). Personal and powerful connection to each fan. WHAT?!?!?!?! Was she actually IN my house when I got dressed? And I cannot lie, the pressure to dress to meet my personal style icon is huge. I mean, she made a career out of telling people they don’t dress well! WAHOO! I’m barely holding it together at this point! She just told me she loved my outfit! 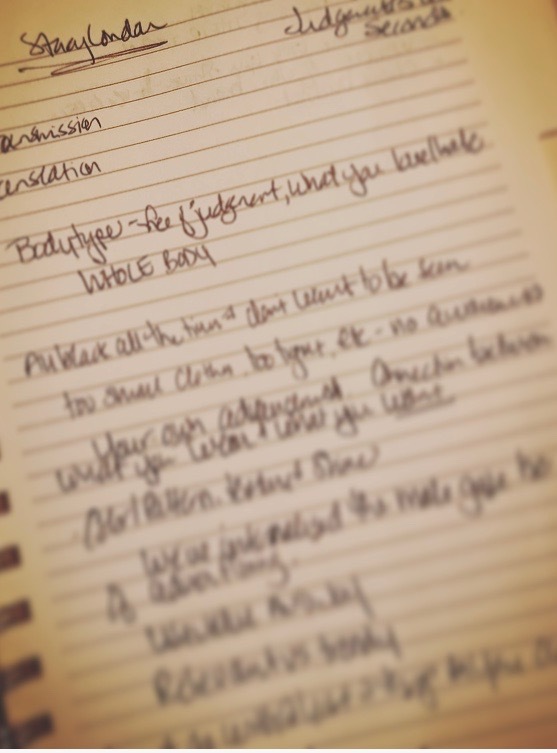 I took copious notes as I build my arsenal for styling clients and image coaching. I took pages of notes and journaled all weekend about how to translate this back into business. 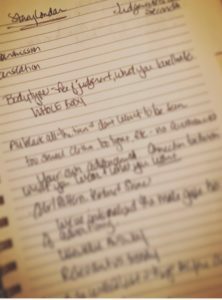 Focusing more on the image coaching approach with clients (and within Moxie Mama) versus just the personal shopping piece is exciting. Everyone should feel empowered by the brand they present through their style. It is fluid. It constantly evolves and should be treated as a powerful companion in personal growth. 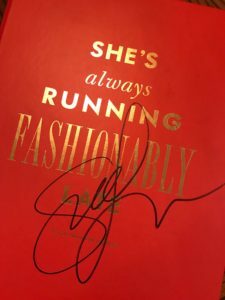 Sharing the energy from meeting an idol and woman who unknowingly changed my career is the renewed goal heading into 2018. Turning style BACK to a VERB is the goal for Moxie Mama. So to Stacy London, thank you. Thanks for showing us that there is power to style. You gave me (and I’m sure others–I spotted a number of bloggers, designers, and stylists there) the courage to create a business that supports the success of others. Mostly, thank you for being so completely authentic and approachable. You are inspirational and aspirational. Oh, and seriously, thank you for liking my outfit. I’m still swooning!